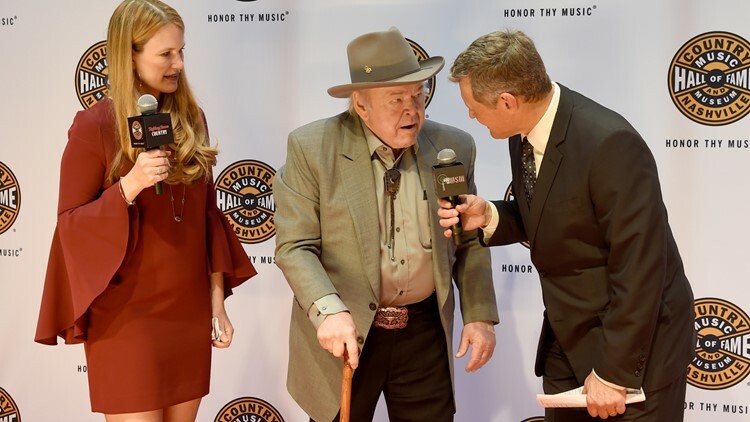 Roy Clark arrives at The 2016 Medallion Ceremony at the Country Music Hall of Fame and Museum on October 16, 2016 in Nashville, Tennessee. Roy Clark was best known for hosting the TV show 'Hee Haw' for nearly a quarter century. A fleet-fingered instrumentalist best known for his 20-plus years as a "Hee Haw" co-host, the affable Clark was one of country music's most beloved ambassadors. "He's honest," said fellow Country Music Hall of Famer Harold Bradley when Clark was inducted in 2009. "Whether he's playing guitar or singing, he's honest. Whatever he does, he sparkles." "The camera was very kind to me, and I consider myself to be a television baby," Clark said in 2009. "At first, it wasn't that I was so talented, but they had to fill time...So they'd say, 'Well, let's get the kid.' Later, I got to where when I looked at the camera, I didn't see a mechanical device. I saw a person."